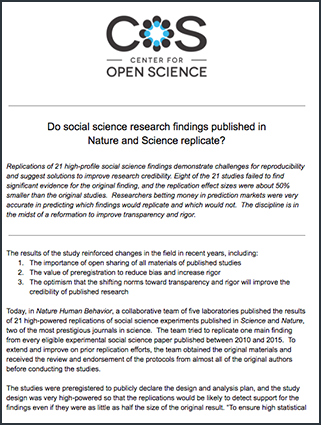 The Social Sciences Replication Project (SSRP) attempted to replicate 21 high-profile experimental studies in the social sciences published in Nature and Science in 2010-2015. These are supporting materials for journalists covering the release of this paper in Nature Human Behavior, August, 2018. 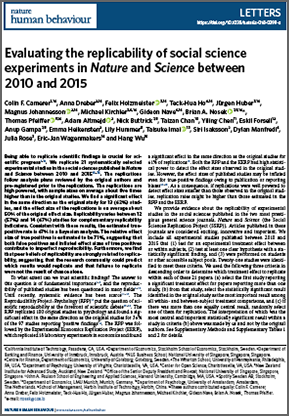 Read the paper, titled Evaluating the replicability of social science experiments in Nature and Science between 2010 and 2015. 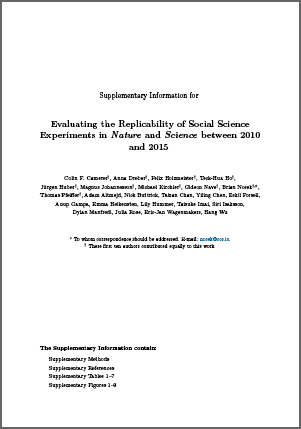 To contact the original authors of the replicated studies, access this page. This document accompanies the main paper and provides details of the methodology and additional analyses. 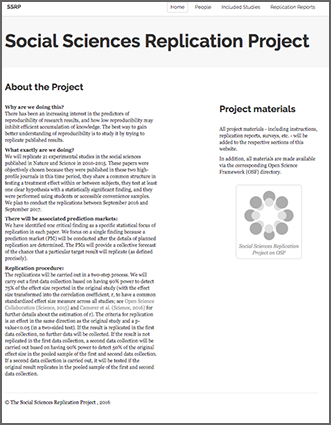 The project has a substantial web site that outlines the project, what studies were included, who was involved and other useful information. 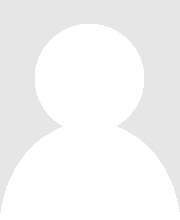 This OSF repository accompanies the publication and contains all data and materials reported in the article as well as supplementary information. Read the correspondences and commentary regarding SSRP. Some members of the research team held a press conference call on August 22, 2018 about the project. The video recording is available here. 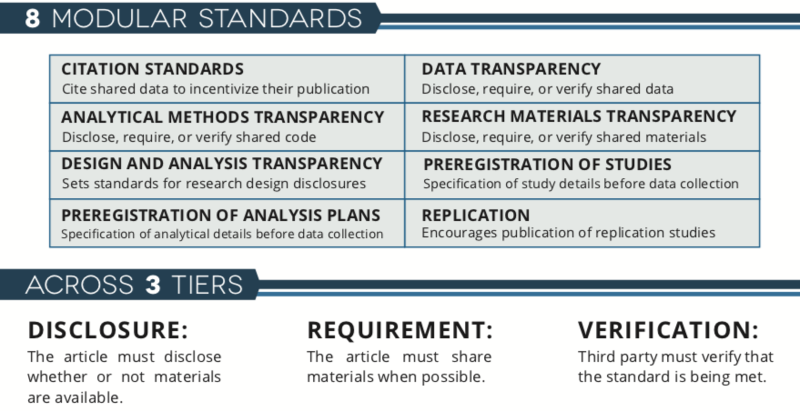 The Transparency and Openness Promotion (TOP) Guidelines provide journals, publishers, and funders with eight policies that they can implement in order to increase trust and rigor in science. Social-behavioral journals in particular have taken steps to increase expectations about publication practices. TOP includes tiered policies for data, materials, and analytical code transparency; use of better reporting guidelines to ensure that the design and analysis of a study is comprehensively reported; preregistration to increase discoverability of conducted research, with analysis plans to increase credibility of conducted tests; and replication studies in order to incentivize the conduct of this cornerstone of scientific process. 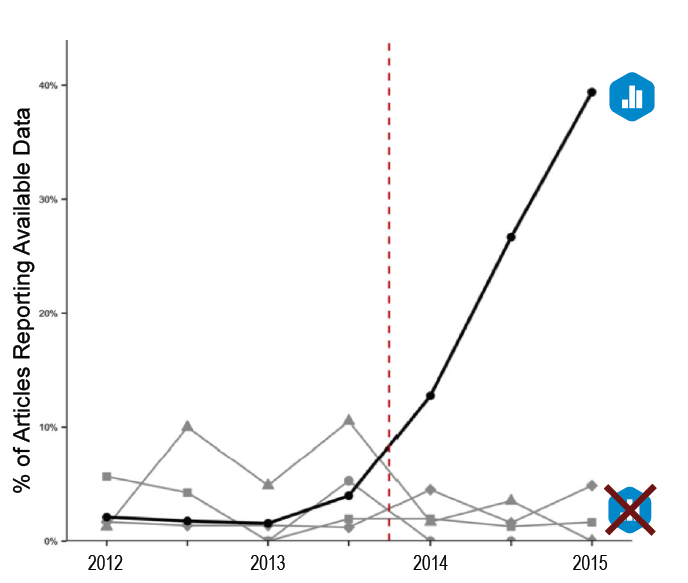 Thousands of journals have become TOP Signatories, and over 850 have implemented policies compliant with TOP. Badges to acknowledge open practices: Journals can acknowledge authors for making available data underlying reported results, materials used to conduct the study, or for preregistering their study protocols. Issuing badges is associated with an increased rate of data sharing and with better availability of purportedly shared data and research materials (Kidwell et al., 2016). 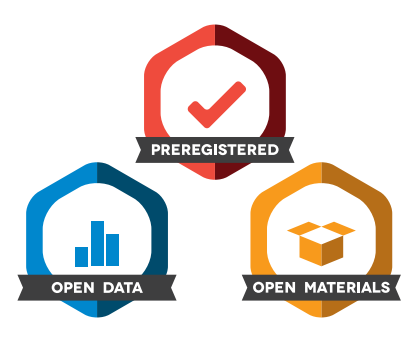 Thirty-eight peer reviewed journals currently issue Open Science Badges, including those from the American Psychological Association and the Association for Psychological Science. Preregistration: Authors can increase rigor and credibility by specifying in advance how data will be collected and analyzed. A preregistration makes it easier to determine which analyses are testing a specific hypothesis, as opposed to the analyses that are done post-hoc in a search for unexpected, preliminary findings. Our recent review article in the Proceedings of the National Academy of Science, the Preregistration Revolution (Nosek et al., 2018), lays out the value of this process and ways to implement in in most research contexts. 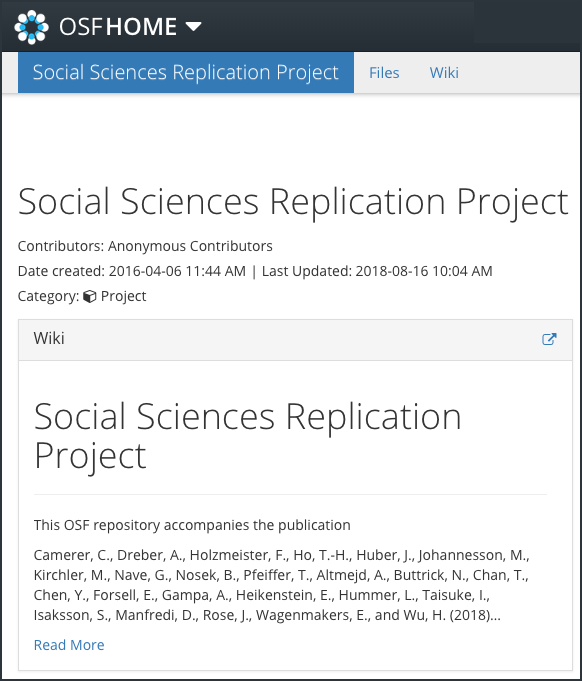 The OSF is an open source web tool for researchers to collaborate, share data, register their research plans and post preprints of their results. Used by over 100,000 researchers, the OSF is built in solid technology and backed by a preservation fund to ensure longevity.